A government headed by opposition leader Jeremy Corbyn could face "a mutiny" from the British Army if he tries to downgrade it or pull out of NATO, a senior serving general told The Sunday Times. Corbyn’s victory as Labour’s leader and the head of Westminster’s official opposition has been greeted with “wholesale dismay,” even among Labour-supporting soldiers, a senior serving general told The Sunday Times, on condition of anonymity. Moreover, if Corbyn wins the 2020 general election, in which he plans to run for PM, and attempts to downgrade the armed forces, scrap the Trident nuclear program or pull out of NATO “there would be mass resignations at all levels and you would face the very real prospect of an event which would effectively be a mutiny,” he said. “Feelings are running very high within the armed forces. You would see a major break in convention with senior generals directly and publicly challenging Corbyn over vital important policy decisions such as Trident, pulling out of NATO and any plans to emasculate and shrink the size of the armed forces. The Army just wouldn’t stand for it,” he explained. Corbyn’s spokesman told The Independent on Sunday that the Labour head would not comment on remarks made anonymously. Labour’s new frontman has campaigned for Britain to quit NATO, calling for a reassessment of priorities and saying that Britain’s armed forces are far too big for a small island in the North Atlantic. He has been a long-time supporter of the Campaign for Nuclear Disarmament and an opponent of the Trident nuclear deterrent, saying that it’s an outmoded, dangerous system. Nevertheless, there have been reports that Corbyn has softened his stance on Trident. In a recent BBC interview he pledged that he would not resign even if the party agreed to keep nuclear weapons. The Conservatives, headed by Prime Minister David Cameron, have bolstered their attempt to portray Corbyn as a threat to national security after his victory last week. “Labour are now a serious risk to our nation’s security, our economy’s security and your family’s security,” Cameron said last Sunday. The Sunday Times report revealed that if Corbyn becomes PM, security officials may give him “restricted access” to intelligence. “None of the intelligence community – whether we’re talking about the security services or the counter-terrorism police bosses – would give Corbyn, or any of his cabinet, information that they don’t want to give,” an anonymous senior intelligence source said. “He certainly won’t be receiving any information relating to live intelligence or any operational issues,” he added. The comments from "a serving general" in STimes are now a big test for David Cameron. Whatever one thinks of Corbyn, they are unacceptable. Corbyn’s position on Syria airstrikes targeting Islamic State militants (IS, formerly ISIS/ISIL) has divided the Labour party. He has indicated multiple times that he opposes the airstrikes, stating that bombing the country will only lead to the killing of more civilians and fuel IS. Meanwhile, on Saturday he resigned as chairman of the "Stop the War Coalition" campaign group which coincided with the day it reprinted a poem accusing the Queen of profiting from conflict. However, Corbyn’s spokesman said the two events were unrelated. Parliament is expected to vote on extending military action in Syria next month. The Sunday Times report claimed that half of the Shadow Cabinet will vote with the government if Cameron comes up with a coherent plan to fight IS. “There is a majority in the Commons for airstrikes in Syria if Cameron has a proper plan for targeting ISIS. You would get half the shadow cabinet supporting it,” a member of the Shadow cabinet said. 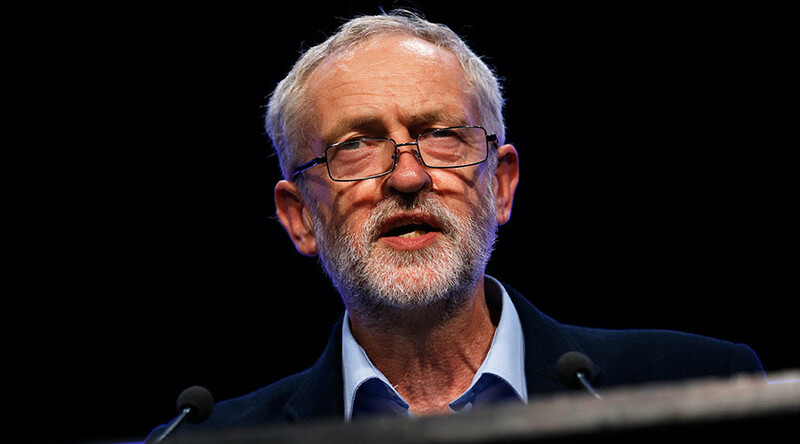 Corbyn, 66, won the support of nearly 60 percent of Labour party members who voted in the leadership election on September,12. Corbyn took place of Ed Miliband, who resigned on May, 8. He is a member of the Palestinian Solidarity Campaign, Amnesty International, the Campaign for Nuclear Disarmament and a founder of the Stop the War Coalition.